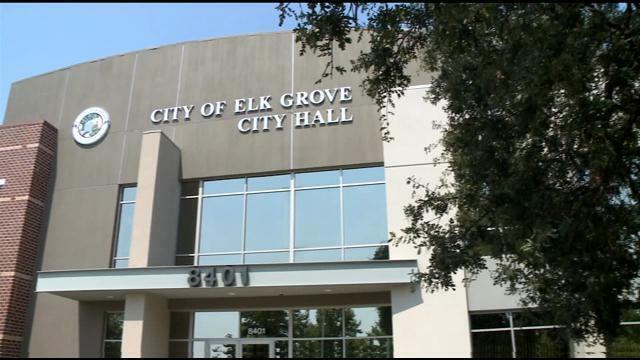 In the coming months, the City of Elk Grove will discuss, unveil, and approve a budget of your tax dollars. In this three part series, we examine three departments within city hall whose function are not immediately obvious to the public. In this first part we look at the public information department. This department is headed by Kristyn Lawrence and reports to the city manager. As noted above, the public information office is headed by Kristyn Laurence, public affairs manager. Other employees are Jodie Moreno, community events and projects coordinator; Lupe Murrietta, graphics & multimedia program manager; Jordan Haynes, graphic designer; and Christa Lumry, multimedia specialist. "The Public Affairs Division is responsible for designing, developing and maintaining the city’s public information platforms including the bimonthly citywide newsletter, website, and social media accounts. Office staff facilitate media relations, advertising, marketing, graphic design, public and community relations programs, and community engagement that support all city departments and programs. Additionally, the Office organizes the City’s street banner programs, event advertising signage program, City special events and festivals, groundbreakings, and grand openings for city projects and administers the Event Sponsorship Grant Program." Plan, organize, manage and coordinate the activities and operations of the Public Information Division of the City, including media communications, community events and special projects. This position is responsible for communicating the City's policy priorities and organizational goals to the general public, other public agencies, elected officials, the media, and between City staff; implements program goals and objects. Receives administrative direction from the City Manager and provides highly responsible and complex administrative support to the City Manager. Exercises direct supervision over assigned professional, technical and administrative support personnel. Under general direction, plan, organize, develop, and coordinate events and special citywide projects on behalf of the City for the purpose of promoting local businesses and the City as a whole. Act as ombudsman between the City and the professional groups and committees related to the events and special projects. Plan, organize, manage and coordinate graphics and multimedia projects and activities supporting the City's public information, marketing and branding efforts. This position is responsible for managing the graphics, video and social media content developed in support of the City's vision and goals and the needs of City departments. This position provides highly responsible and complex creative support to the Public Affairs Manager and exercises direct supervision over the Graphic Designer and the Multimedia Specialist. Under general direction, performs a variety of professional and technical duties exercising strategic thinking to design, develop and implement marketing materials, events, and campaigns that include website and social media content, motion graphics, assisting with video projects, newsletters, brochures, and information booklets for the City of Elk Grove and its various departments, programs and facilities. Under general direction, performs a variety of responsible, professional and technical support duties related to the operation and maintenance of City-wide multimedia systems, including production of video programming, educational exhibits and broadcasting of City meetings. Creates audio and visual materials for use in staff training, social media platforms and the City's website; provides highly responsible support to Graphics and Multimedia Program Manager. Even though portions of the city's ballyhooed civic center are under construction and scheduled for opening this year, the public information was involved with developing a list of proposed names for what is supposed to be the center of the city. A branding expert, Sacramento-based Crocker & Crocker was hired by the department in 2017 who then developed names like CNRT Point, and The Pendulum (read more here). After spending $38,000 with the branding experts, no stand-out names were developed and the city council still has yet to act on a name, even though some council members continue lobbying for The Grove. Given the City of Elk Grove will gladly spend money on consultants on everything from a cubicle study to naming of the civic center without any regard to taxpayers, here is some consulting guidance to the city council and city manager's office, and the best part is it is free of charge. While the public information office salaries are not entirely unreasonable - is it because the department is primarily women? - overall the last few years, the department has seemingly doubled in size without a proportionate growth in population or tax revenues. How many people does it take to churn out press releases for council members, develop some posters, coordinate the monthly newsletter, and post public relations blurbs on social media platforms? As the new city manager trains his fresh eyes on the city budget, we suggest he take a look at this department and question if it is not overstaffed. Naturally Mr. Behrmann will probably be loath to cut fat from this department, but really, do we need five full-time employees to post spin on Instagram? If EGN is suggesting that there is fat on the public relations bones of City Hall and some thinning needs to occur, well, that would be like telling a magician to throw away their smoke and mirrors! Be real...er not so real EGN--it's all about the illusion and sleight of hand. I guess former PIO Christine Brainerd was worth her weight in solid gold and then some. Christine handled the department all by herself and did a fantastic job. Why so many employees now? What has changed? Does anyone know? Those are questions that are never answered; just quietly slipped into the budget, hoping no one will notice. As the saying goes, "You don't question what you understand." Notice will be taken when the next economic downturn hits and the Elk Grove City Council will be forced to either raise taxes or eliminate some of these very lucrative jobs. Let's see if we get the transparency we were promised during next fiscal year's budget discussions.